Bright Light Customs is able to offer discrete lighting solutions to fulfill the lighting requirements of most imported passenger vehicles. Please check our product pages to see if there is an existing kit or conversion available for your vehicle. If not please contact us to discuss your requirements. We are also able to offer conversions for vehicles imported into most European countries. Please contact us for more information and to discuss your requirements. 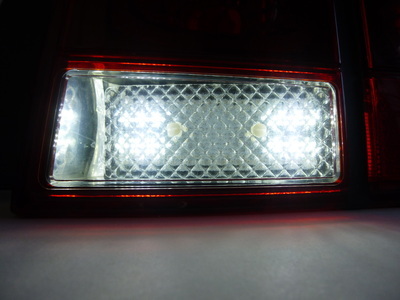 Bright Light Customs specialise in the supply of lighting kits and light cluster conversions. If you have recently imported a vehicle into the UK that is less than 10 years old and require a full IVA conversions and test we recommend Haes Concepts, who can help with the entire process. Bright Light Customs and Haes Concepts work closely together to help customers get their new vehicles on the road with the least hassle. Based in the Wolverhampton area. Below is a selection of some of our previous conversions. Further conversions can be seen throughout the website. 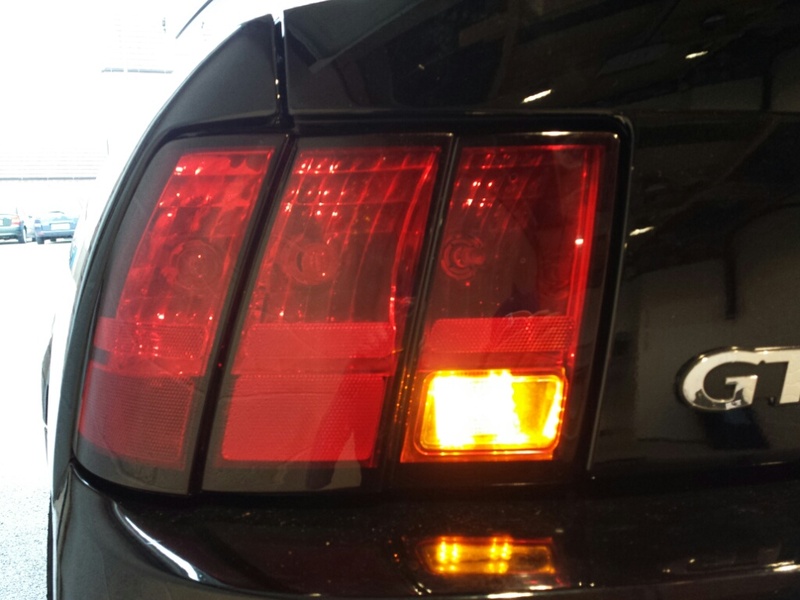 To perform this conversion we open the stock 2013 Mustang tail light units and convert the outer center brake light to Amber. 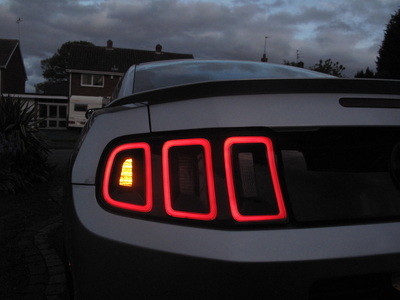 Tail and reverse lights retain the stock functionality. 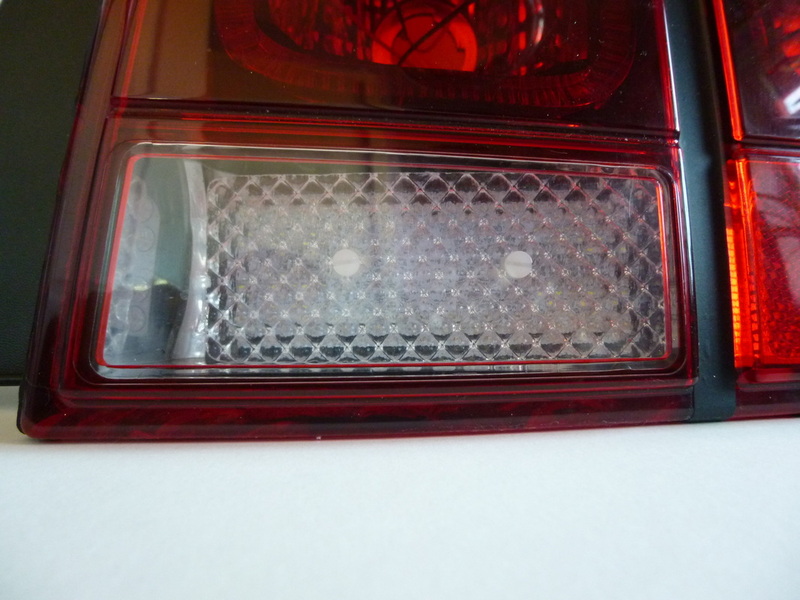 Brake lights remain in the inner two center sections and also illuminate the three halos. As an option the inner center brake light can also be rewired to act as a fog light. 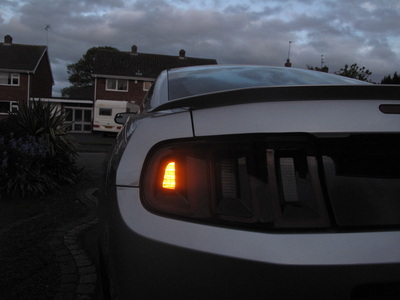 These conversions as not plug and play - some rewiring of the vehicle harness is required in order to adapt the Ford system to accept these lighting modifications. 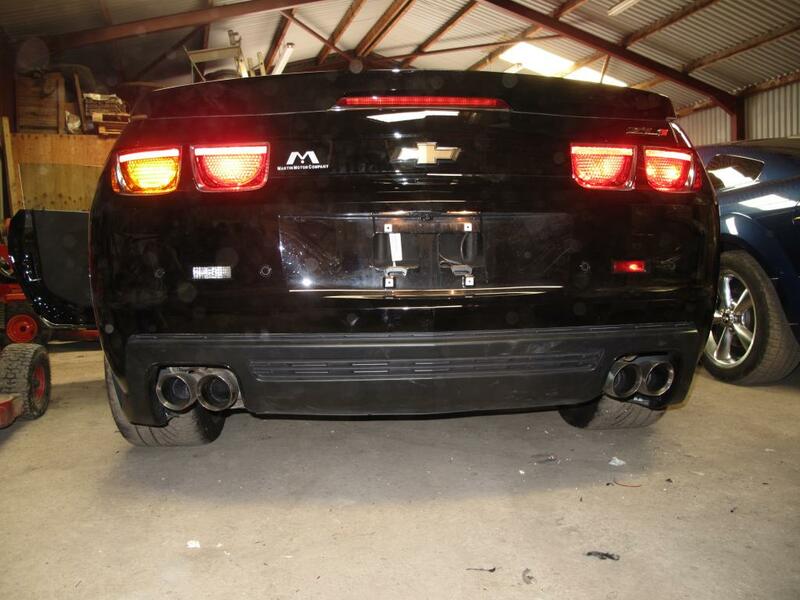 A pair of 90 x 34mm LED panels were supplied to Haes Concepts for fitment to this 2010 Camaro prior to IVA testing. 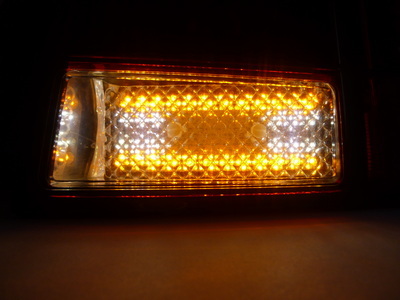 The panels included dual function lighting offering red tail lights and amber turn signals. The panels were fitted into the original tail light housing. 2005-09 Ford Mustang - Reverse Light, Amber Turn Signals and Rear Fog Light. 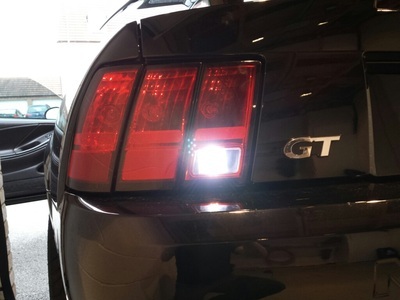 Using one of our LED conversion kits allows 05-09 Mustang owners to install a combination of white reverse lights, amber turn signals and red fog lights into the rear light housings. 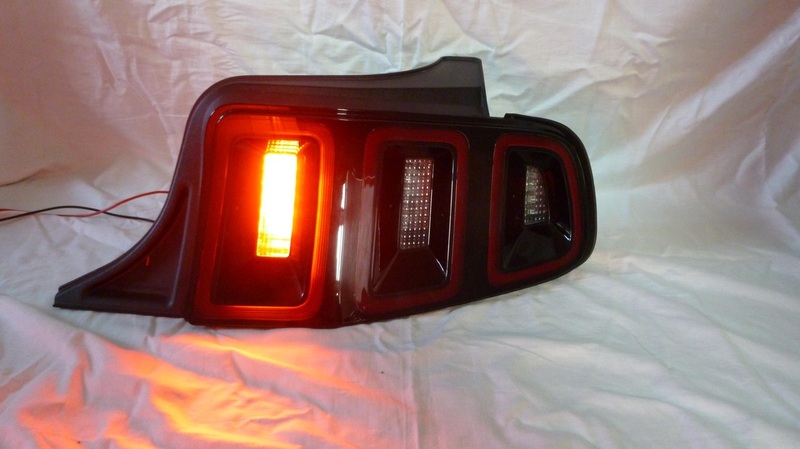 No more need for trailer lights hanging off the bumpers! These kits can be supplied with either White/Amber or Red/Amber LED combinations. 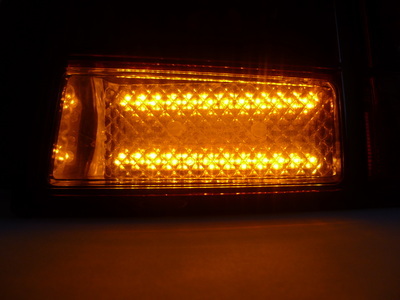 White/Amber act as reverse and turn signals. Red/Amber act as fog light and turn signals. Alternatively one board of each White/Amber and Red/Amber can be supplied. 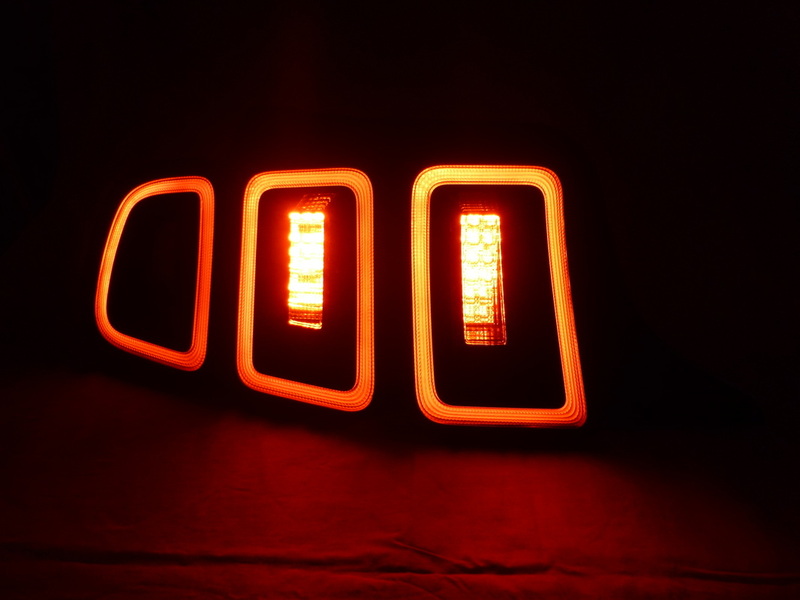 This results in all three functions concealed within the reverse light housings. This conversion was performed on a 2003 Mustang. Small LED boards were mounted inside the reverse light housing. These combined white LEDs for reverse lights and amber LEDs to function as turn signals.